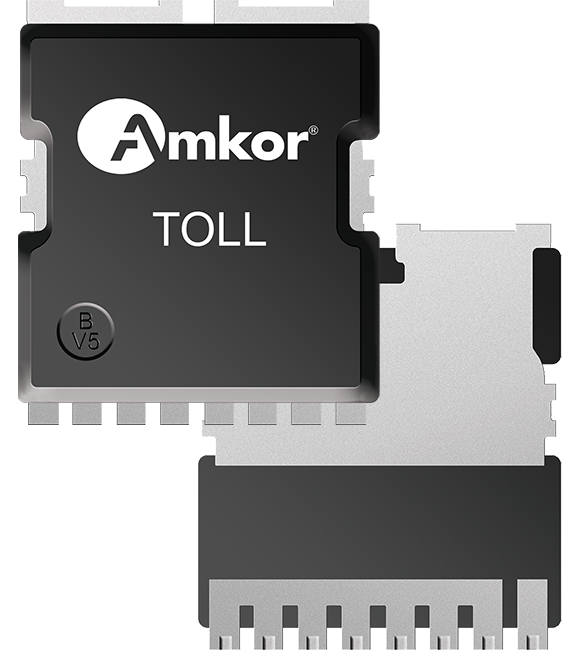 The TOLL package is a highly efficient space-saving package featuring extremely low Rds(on) and strong thermal performance making it well suited for high current and high voltage applications. It meets an existing JEDEC package outline, is 30% smaller and 50% thinner than a DDPAK package. The TOLL package leads are designed with wettable flanks making it a great fit for the automotive market. Interconnect can be supported with Cu clip or wire (Au, Cu or Al) and full turnkey solutions are provided for this package. The PSMC package is perfect for trench Schottky diodes/rectifiers and transient voltage suppressors (TVS). Interconnect via Cu clip allows for high currents and leads incorporating wettable flanks also make this package well suited for automotive applications. It meets an existing JEDEC package outline, is 50% smaller than a DPAK (TO252) package and is only 1.1 mm thick. 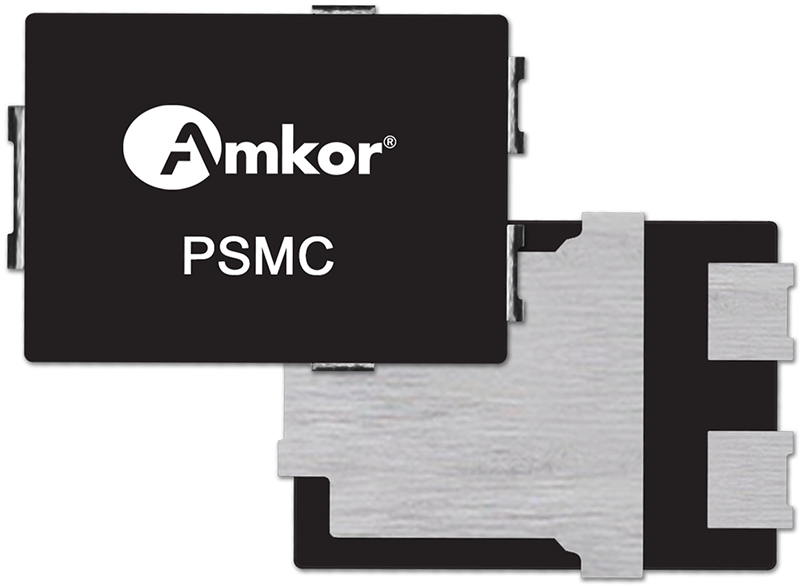 The TOLL and PSMC packages are produced in Amkor Malaysia, Amkor’s Power Discrete Center, with more than 40 years of power discrete experience and are tooled in the highest density XDLF leadframe format for best productivity.